The forward-thinking, thirties classic Thoroughly Modern Millie graces the Churchill stage this week, led by Strictly Come Dancing favourite Joanne Clifton. With catchy tunes and glitzy costumes this show is full of talent, but sadly needs a bit more gusto to make it a hit. Meet Millie Dilmount; the country girl longing for the bright lights of the city and a husband that suits her financial needs over her romantic ones. Determined to be the modern girl in the magazines she moves to NEW YORK and starts hunting for a job (husband) but as herself and her new friends get caught up in a white slavery plot, will they all find true love or be shipped off to the orient! 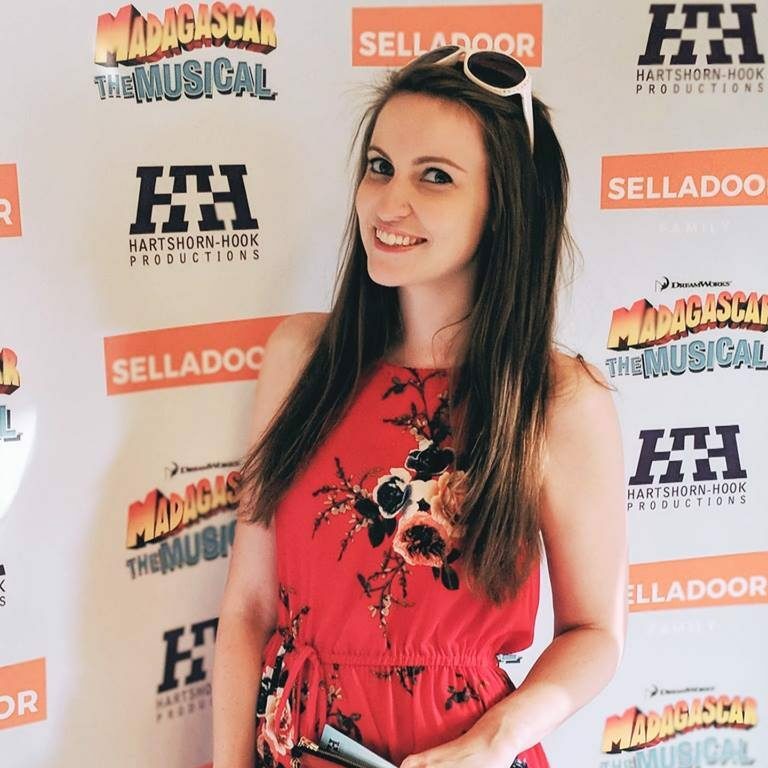 In a theatrical climate where star casting is often put under scrutiny the choice of Strictly pro Joanne Clifton could be a controversial one, but I was pleasantly surprised at the Millie she presents on stage. Quirky, confident and gutsy – this girl can sing as well as dance and it was nice to see her play with the character in a way I haven’t seen before. Millie’s fiery, positive character is spectacularly contrasted by the cynical, conniving Mrs Meers, brilliantly portrayed by Luca Rush, whose sharp wit and comical timing shines through. Other great performances come from Sam Barrett as Jimmy and Katherine Glover as Dorothy. Jenny Fitzpatrick’s soulful smooth voice is perfect for the part of Muzzy, and Graham MacDuff is hilarious as the drunk Trevor Graydon, although maybe plays on the act a little too much. Despite a good leading cast I can’t help but feel this production has something missing. It’s crying out for more pace. The set, sad to say, just strikes you as being a bit cheap, which is put into stark contrast when the cast wear such beautiful thirties dresses and suits. These gorgeous clothes are then undermined by the addition of cheap, plastic, green golf visors to the men’s work outfits. The comedy moments with Bun Foo and Ching Ho (who were regularly noticeable among the ensemble) are sometimes lost as the English translations are just too high above their heads and too small for many to read. Some decisions are questionable, such as the choice to dress men as women during Forget About the Boy – sometimes less is more in this case. There’s often a feeling that a few more bodies on stage wouldn’t be a bad thing. It’s also sad to see Joanne tap without tap shoes at multiple points in the show. This may be down to practicality but I would forgive the odd walking tap click and onstage shoe change to see her tap properly! Despite all this, it is a good effort at bringing this sometimes out of date show to a modern audience. Sadly the X factor is missing, but with a few tweaks, this could be a fantastic show, and the principal cast are at the heart of it, entertaining the audience to the very end. It’s worth a visit for Joanne Clifton alone, who goes from Strictly pro to musical pro in just one number. It’s the production values that need to keep up with her dancing feet! 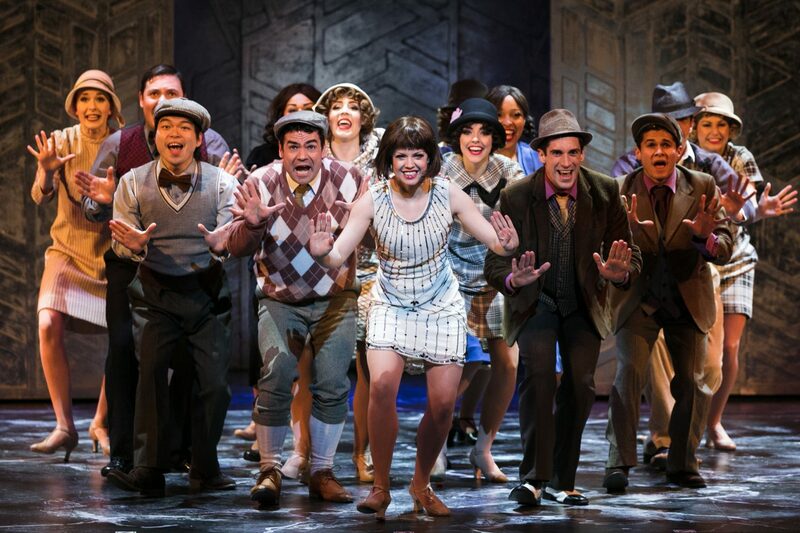 Thoroughly Modern Millie is playing at The Churchill Theatre until Saturday 10th June before continuing its UK tour. Tickets available online here.